The Korin Gamadji Institute last week assisted AFL Victoria with the delivery of a combined Laguntas and Jim Stynes Program camp. 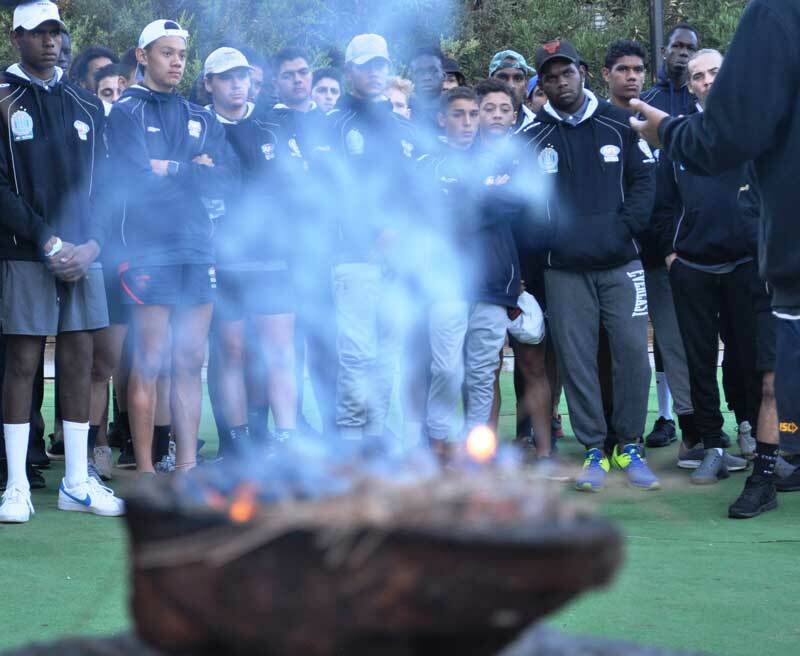 The three-day event, held at Camp Wyuna in Queenscliff, featured 47 young footballers with Indigenous and multicultural backgrounds. KGI Indigenous Community Engagement Coordinator, Luke Murray, said that the sharing of stories and cultures was “by far” the highlight of the Camp. “With all the atrocities of the terrorist attack in New Zealand it was fantastic to see young men from all different cultures come together as one,” he added. After a Welcome to Country from Wathaurong Traditional Owners, the players were put through their paces with a light training session under the watchful eye of their coaches. New to the Laguntas coaching setup is former Western Bulldogs and West Coast player, Josh Hill, who will work as an assistant to Head Coach, Peter Mongta. Murray said that Hill, who played in the AFL for 11 years would bring a wealth of knowledge to the group. “His understanding of the game and life experiences will be truly valued by all participants during the program in 2019,” he added. Hill spoke to the group about strength, conditioning and recovery on the camp. Players also had multiple runs along Queenscliff Beach, footy education, team meetings, beach activities and a boat ride across the bay to Port Nepean. AFL Victoria Indigenous Program Manager, Brad Copeland, said that it was a fantastic start to 2019 for Laguntas and the Jim Stynes Program. “The interaction and relationship building amongst the two squads’ participants and staff was a pleasure to see,” he added.